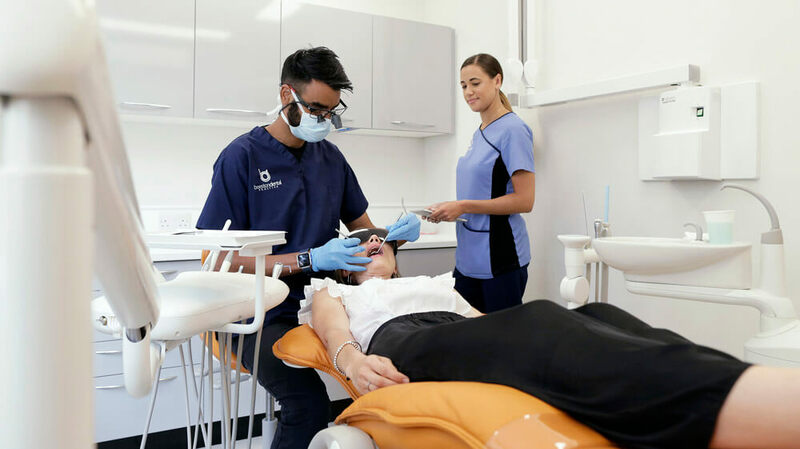 As part of your routine oral health assessments, we look at your risk of developing tooth decay, gum disease, we assess the soft tissues of your mouth for any changes and examine toothwear or surface loss. What is tooth surface loss? Tooth surface loss is the loss of the tooth’s natural structure that is not related to tooth decay. It is important to realise tooth surface loss, or toothwear, occurs as a normal part of aging – as your teeth are exposed to more foods, drinks and objects they are more likely to be worn down. Your dentist wants to identify any toothwear that is abnormal for your age or wear that is occurring at a fast rate. . It falls into three main categories: erosion, abrasion and attrition. Erosion – this is when the tooth is worn down due to acids. These may be related to diet, food and drink. It may also be related to a medical condition – for example, heartburn and acid reflux or conditions that cause nausea and vomiting (e.g pregnancy and morning sickness). Abrasion – this is mechanical wear caused by objects that come into contact with the tooth such as aggressive toothbrushing techniques or harsh ‘whitening’ toothpastes. Attrition – this type of tooth surface loss is caused by tooth to tooth contact. It is commonly seen in people who grind or clench their teeth at night. How do I know if I’ve got tooth surface loss? Many people may be unaware they have tooth surface loss until it is pointed out to them by a dentist. Tips of your teeth becoming more see through than before. If you grind your teeth, you may also experience headaches, aching jaw muscles and pain within your jaw joint. What can be done to help treat toothwear? In many cases, no treatment is required to deal with toothwear and the focus can be placed on preventing any further tooth surface loss. Your dentist may take photographs or impressions to monitor the wear over time. Your dentist may ask you questions to find out about your diet, to help identify any causes in the food and drink you eat that may be affecting your teeth. They may also ask about any history of heart burn or vomiting within your current and previous health. It’s not to be nosey, but to help your dentist stop the toothwear progressing. If you suffer from grinding or clenching during the night – your dentist may recommend a biteguard. This is a thin, clear material that is custom made to fit your mouth. It can be worn at night to help prevent your own teeth being worn away and may help to relax the muscles of your jaw. When toothwear is more severe, your dentist may recommend other treatment to help improve the appearance of worn teeth. If you have any concerns about toothwear, make sure to discuss it with your dentist at your next visit. Call us on 0115 925 4169, email info@beestondentalpractice.co.uk or complete our contact form.